Good morning, Minis! 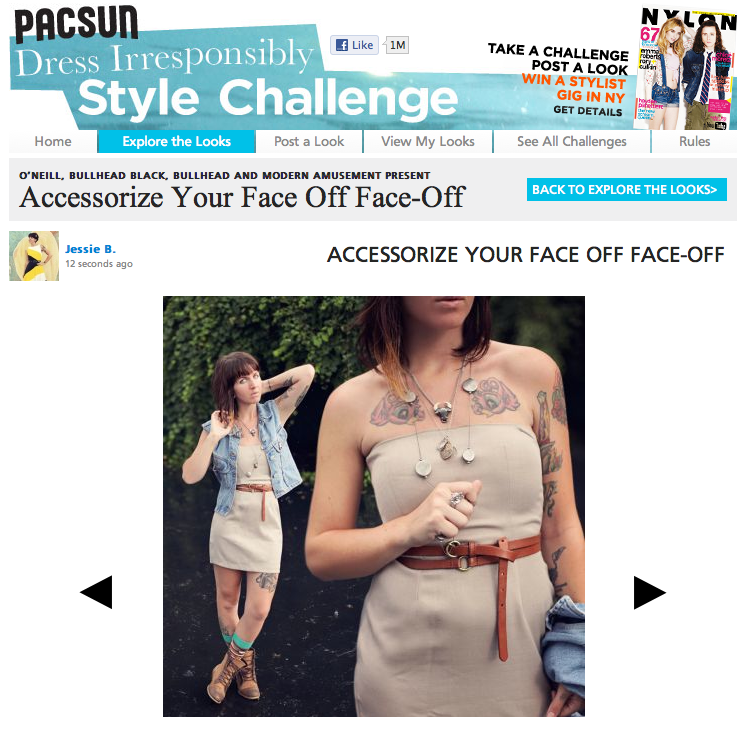 Like I said last night, I entered yesterday's look in the second round of PacSun's Dress Irresponsibly contest! The them is Accessorize Your Face Off Face-Off, so I think I fit the bill without being overly-done. Also keep in mind that the advertising space giveaway that I posted about yesterday is still open and now voting for my entry counts as an extra comment and chance to win.